For 350mm/14" cut-off saw cutting wheels. The electronically controlled injection ensures straightforward operation that is smooth-running. Electronic water control for easy water supply metering. Together with the anti-vibration system, the tool helps you to achieve a very eact cut. High torque, with economically and environmentally-friendly 2-MIX engine. 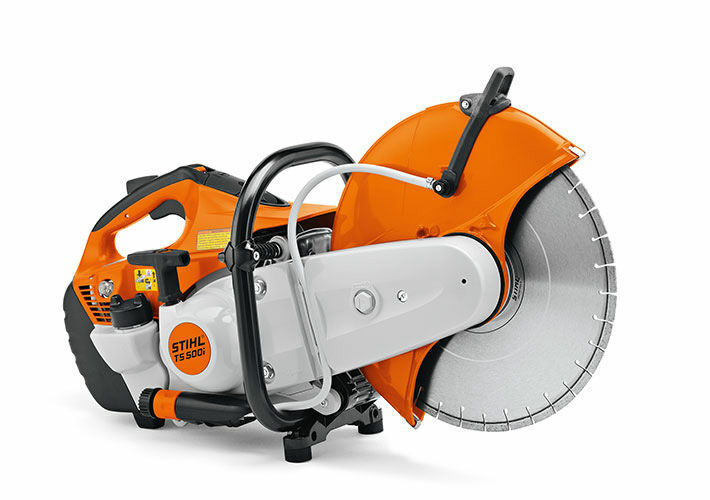 The new cut-off saw uses innovative and exclusive STIHL engine technology: The new engine control allows easy and safe starting without any chance of operating errors. The TS 500i can be operated by hand or using the FW 20 cart. 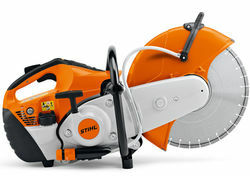 STIHL ElastoStart This standard or retrofitted starter grip allows smooth starting without abrupt power Peaks, making starting the machine considerably easier. Decompression valve The decompression valve is part of the easy start-system. The valve reduces pressure in the cylinder which means less effort is required to start the engine.